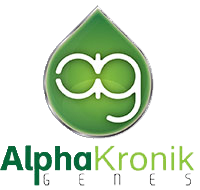 Alphakronik Genes are one of the top medical grade cannabis seeds providers in the world. The produce real genetics the natural way - with a female and a male plant. All plants are grown in soil and grown with organic based nutrients. They never cut corners to make a quick buck. Quality genetics are produced with huge amounts of love, time, and dedication.